I wanted to do something that lived in my memory for many years to come and I wanted to experience something different and new. I wanted a fresh challenge. There were several ideas going around in my mind but one thing was certain in my mind: I wanted to go travelling. I’ve always wanted to go to South America and go to Brazil, Peru, Bolivia, Ecuador and Chile but then I realised that it would be much easier if I went to Australia first and then travelled elsewhere afterwards. I came up with a route of Australia, New Zealand, Fiji, Thailand, Laos, Vietnam and then to Hong Kong before flying back home. We did not have a set itinerary or route, all we knew is that we had 3 and ½ months and it was up to us to decide how long we spent in each country. 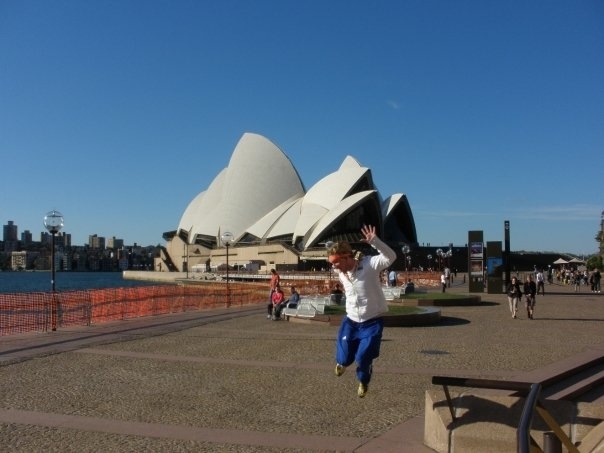 Sydney seemed like a very nice city. There were lots of young people about and there seemed like a good vibe to the city. 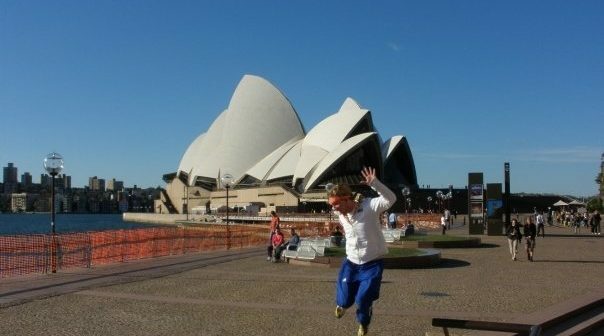 I went to visit the Sydney Opera House which was very special, it’s a lovely building situated by the harbour. Bondi Beach was not as stunning as everyone made it out to be, it is a nice beach and you have to go purely because it’s famous but there are much nicer beaches elsewhere in Australia. We were in Sydney for about ¾ days which is plenty of time. It takes a while to get used to the time difference too so Sydney was a perfect place to readjust and get our bearings before setting off up the East Coast. We got the Greyhound bus up the East Coast which is a hop on hop off bus so you can get on wherever you like and also get off wherever you like too. Our eventual target was to reach Cairns in north eastern Australia. We had estimated this would take us about 5 weeks or so. We stopped off at some cool places along the way, one of which was Byron Bay, which is a surfer town and I had a surf lesson there on the beach which was really good fun. I was hopeless but was definitely worth it. I also managed to go scuba diving in the Great Barrier Reef and also skydiving which is the ultimate adrenaline rush. It was simply incredible – dropping from a plane from 15,000ft is an experience not to be missed. I would recommend it to anyone who is seeking a rush. In New Zealand I went skiing as it was their winter there which was awesome fun. I also managed to pluck up the courage to do the Nevis bungy jump – 134m high and it was absolutely terrifying but again a once in a lifetime opportunity to try new things. From New Zealand we went to Fiji which is like paradise, beautiful golden sandy beaches and crystal clear beaches. It was very nice just to flop and relax after having an action packed 8 weeks or so in New Zealand and Oz and it was good to recharge the batteries before the chaos and mayhem of South East Asia. All in all I had an absolutely fantastic time. It was much better than working at home and it is something I will remember for a very long time indeed. The opportunities you get and the people you meet along your travels are unique and it is a truly memorable experience.